This volume discusses the emergence and role of the art salon in the Arab region in the nineteenth and twentieth centuries, focusing on Algeria, Tunisia, Egypt, Lebanon and Iraq. Institutional forms of exhibiting and teaching art emerged in the Middle East and North Africa in late colonial and early post-colonial contexts. 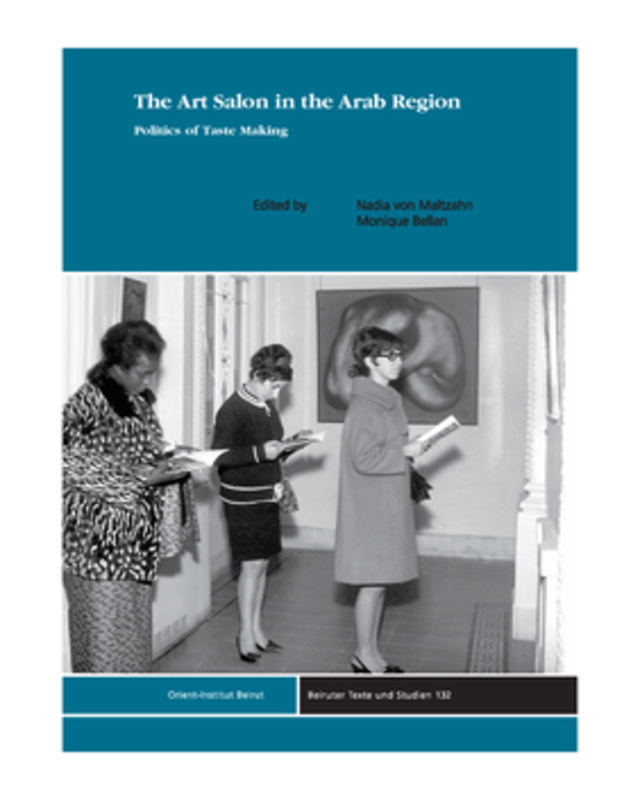 The book examines how the salon had an impact on the formation of taste and on debates on art, and discusses the transfers and cultural interactions between the Middle East, North Africa and Europe. Following the institutional model of the Paris salons, art salons emerged in Algiers, Tunis and Cairo starting in the late 1880s. In Beirut, the salon tradition reached its peak only after independence in the mid-twentieth century. Baghdad never had a formal salon, but alternative spaces and exhibition formats developed in Iraq from the late 1940s onwards. As in Paris, the salons in the region often defined the criteria of artistic production and public taste. The impact of the salon also lay in its ability to convey particular values, attitudes and aspirations. At the same time, the values and attitudes promoted by the salon – as well as the salon itself – were often subject to debate, which led to the creation of counter-salons or alternative exhibition practices. The art salon helps us to understand changes in the art systems of these countries, including the development of art schools, exhibition spaces and artist societies, and gives insight into the power dynamics at play. It also highlights networks and circulations between the Arab region and Europe. Nadia von Maltzahn is the Deputy Director of the Orient-Institut Beirut (OIB). Monique Bellan is Research Associate at the OIB. Both are interested in artistic practices and the circulation of knowledge.